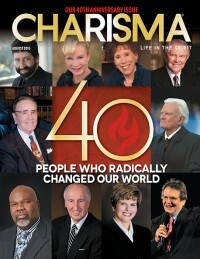 As Charisma reflects on its 40th anniversary, we're featuring 40 people whom the Holy Spirit used to radically change our world. How the Holy Spirit guided Charisma from a magazine to a media company is an amazing story of God's grace and blessing. What will the next wave of the Holy Spirit look like? I believe hope will overcome the darkness. Pastor Jack Hayford shares his thoughts with Charisma on the future of the Pentecostal/charismatic movement. Young leaders of the Pentecostal movements envision a world that knows Jesus.